Seeking to purchase unique Christmas gifts and quality home furnishings & decor? Come to the largest, longest running Arts & Crafts show in Traverse City – now in our 31st year! Free admission ! 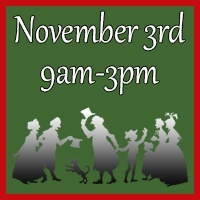 Saturday November 3rd 9am to 3pm at 6105 Center Rd Traverse City – 1 mile out on Old Mission Peninsula. Over 100 artist spaces, live carolers, cinnamon roasted nuts, the vendor raffle, hot homemade food, baked goods, and more. Even our large parking lot fills quickly; ride the free shuttle from Central High School Lot to our front door from 9am to 4pm. All FCC proceeds are given back 100% to local and global non-profits, as well as creating college scholarships for local students.